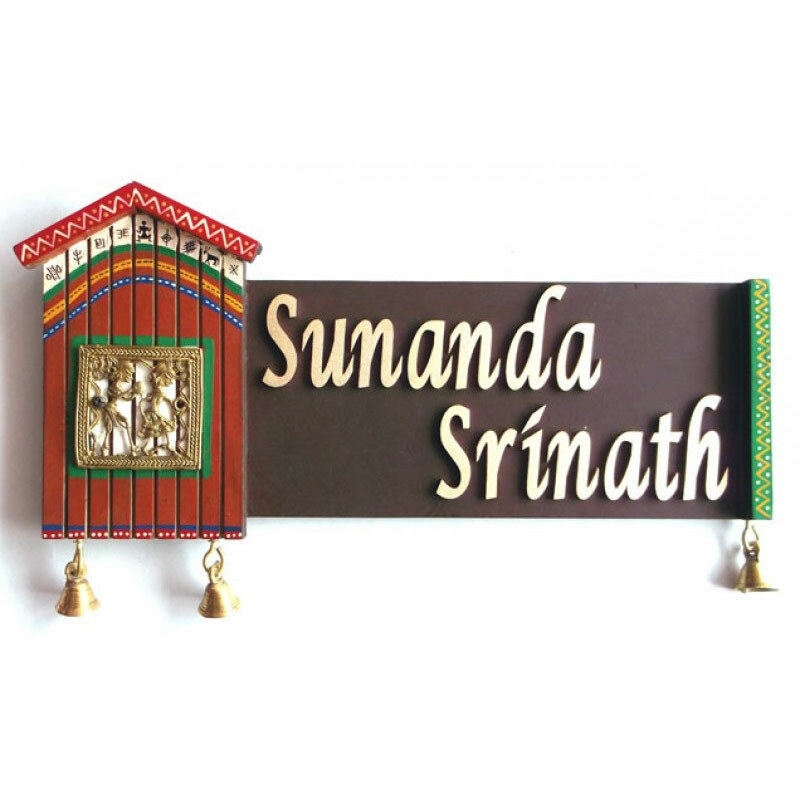 Give your title an ethnic touch with this handcrafted and beautiful nameplate for a home with brass dhokra art in house shape. Customized name in gold or a bright shade will cheer your entrance and impress your guests.Handworks has a wide range of Wood Name Plates that are each better than the other. One can even highlight this piece by adding a spotlight on it. The calligraphic lettering can be made in different colors too. Interior Designers may choose these Handcrafted Wood Name Plates to decorate a house main door and add a contemporary look to the decor.This is an ideal gift for housewarming ceremony.Letters are of medium density fiberboard, can be painted in Golden, Red or White as per your request. #this is a custom product made on order only, So there will be no return/refund possible.